A quick update, life's good. Been busy but on the track. 1400 calories a day target. Got some new stuff for the battle ahead. Today's weigh in was 78.4 kg. So all in all loss of 4.6 kgs since last 3 months. Ordered a digital weighing machine from amazon.in( btw amazing service and i loveeeee their packaging, the cardboard box are so useful later for storing knick knacks, important papers, making doll houses etc). So the challenge has started in the right earnest. On food front I discovered mungauri, a moong dal dumpling variant which is a gr8 option for vegetarians. As a vegan i get tired of the routine dal/ paneer and soya. These mungauris and badi come in chunk and have varied spices from mild to the full on atomb bomb types. Very savory and satisfying. U feel so much fuller after having these instead of the regular dal. Regularly having it in dinner. Cucumber and carrots breakfast was a good idea, since i see inches melting away. Stumbled upon Diane's blog, do check it out for inspiration, doable ideas and great tips for weight loss. Her writing is so relatable! My gym, walking, stairs, fruits and proteins have tip toed silenty back in my life and i could'nt be happier! Its amazing how walking sorts you out and you are set to handle daily pressures. whats your mantra for keeping in shape? Hi Riya, send me a test mail at singh.clandestine@gmail;.com. I need to send you a 25% off Giggles voucher. And then I spoil it all by doing something stupid standing on it! I started working out just four days back and feel a million times more human now, else i had started to hide in my own shell :) i find food options difficult to find though. lots of junk everywhere!! 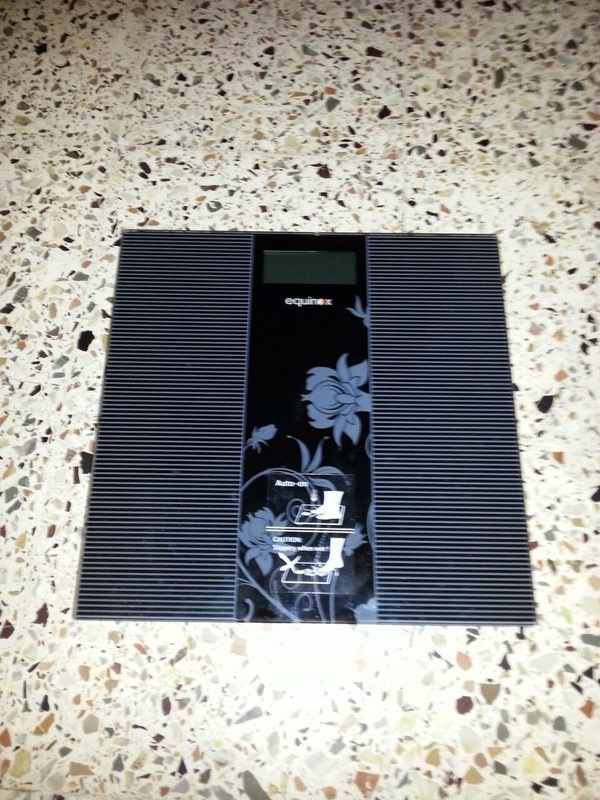 how's this weighing machine?i want a digital one too but one that would be for the long haul. Hi coral, good u working out ...better late than never. This weighing machine is good and it is a must. How r u? Still in Dubai?